Keep hackers firmly locked out of your PC with this powerful security suite. Includes Live PC support, a$500 system guarantee and $15,000 ID Theft Protection, for the ultimate protection! 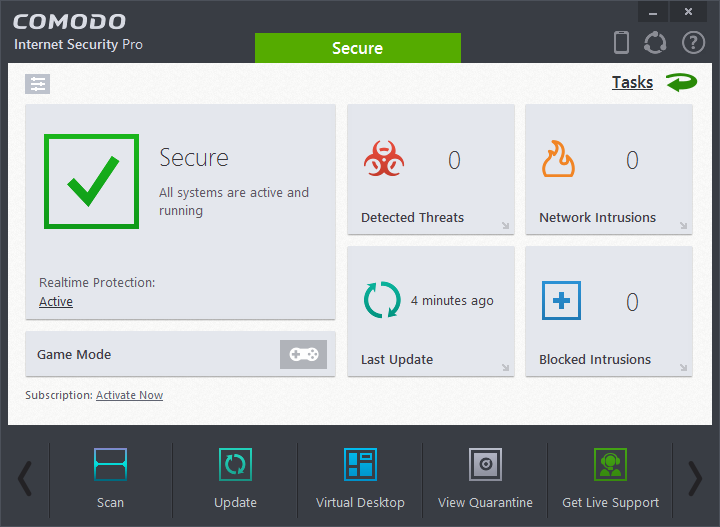 Comodo Internet Security Complete 7 combines the company's powerful firewall and antivirus program, along with a $500 system guarantee, 50GB of online backup and TrustConnect, which together do a great job of keeping your PC safe from even the very latest in malware threats. The suite includes a strong antivirus engine and smart firewall. Comodo's "Defense+" system monitors program activities, looking for malware-like behaviour. The virtual desktop provides an isolated environment where you can run programs, or browse the web, without any risk to your system. And URL filtering keeps you safe by blocking access to malicious sites. Most of this works entirely automatically, and so novice users can simply carry on using their PC just as they did before. 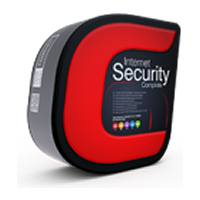 But if you need more control, Comodo Internet Security has plenty to explore. You can monitor process activity in an extended Task Manager, or Comodo's Killswitch; there's a configurable sandbox for running suspect applications; a versatile Host Intrusion Protection System helps you define exactly what programs can (and can't) do on your system, and a host of settings and options ensure the program works exactly as you'd like. New features this time start with the Viruscope. This looks for programs carrying out potentially unwanted actions - setting themselves up to run when your system starts, for example - and not only alerts you, but can undo these changes, restoring your system to normal. The Website Filtering module is another welcome addition, vetting the links you click for safety. It can also limit access for particular users, perhaps preventing your children from viewing inappropriate web content. A new Protected Data Folder gives extra protection to sensitive files, ensuring they're completely invisible to any sandboxed applications. And there are plenty of other significant enhancements elsewhere, from a 700% speed increase for the sandbox, to a range of time-saving interface tweaks, and more than 300 bugs fixed since the previous edition. Comodo Internet Security Complete 7 includes all the powerful security from the basic Comodo Internet Security 7, plus Comodo's 24/7 365-day live support through the duration of your license, a $19.95 value, plus Comodo TrustConnect which encrypts and secures your connection when you use your laptop in a WiFi or 3G zone. Hides your ISPs IP, encrypts data, shields your computer and will even protect your iPhone. You also get a $500 virus-free guarantee. Backing up your data is important, which is why Comodo Internet Security Complete offers you 50GB of online cloud storage space, worth $40/year. Upgrades are available, should you require more than the standard 50GB of free online storage! Includes a 3-PC, 2-Year license. The $500 guarantee is subject to Comodo's Terms & Conditions. © 1998-2019 Betanews, Inc. All Rights Reserved. FileForum Store powered by Cleverbridge.